Legislators had a quiet week last week while they met to discuss budget priorities behind closed doors. HB 1012/SB 796 Study Allocation of Child Care Subsidies/Waitlist: A bill that would study and report on the allocation of childcare subsidies. HB 1013/SB 797 Study Alignment of Child Care Services Applications: This would study the feasibility of a statewide application that includes all early childhood education services. HB 1028/SB 804 SOG Pilot Project Standards/Overnight Respite: Requires the School of Government at UNC Chapel Hill to coordinate a working group to develop standards for state agencies when directed to implement pilot projects by the NC General Assembly. Further, the bill ends the overnight respite project piloted through legislation last year and have the program report findings to the Health and Human Services Committee. HB 1030 2016 Appropriations Act: A place holder for the House budget. HB 1032 Online Voter Registration: This would set up the ability to register to vote online like 31 states and the District of Columbia have done. HB 1033 ID Card Fee Waiver/Disability: Waives the fee of obtaining a special identification card for someone with a developmental disability. HB 1034 Restore Senior Citizen Tuition Waiver: waives tuition and registration fees for up to six credit hours for senior citizens at community colleges. HB 1040/SB 800 Study Costs Associated With NC Pre-K Slots: This would study the type of slots and location of slots (public schools, private providers, etc) and how much they cost individually. HB 1046 Constitutional Amendment/Up Minimum Wage: A bill that would amend the state constitution to set the minimum wage and allow for automatic cost of living adjustments. HB 1047 Welfare Reform/Food and Nutrition Benefits: Directs the Lottery Commission to provide certain cash lottery winnings information to state DSS to crosscheck any information with someone applying for welfare benefits. Further, the bill would limit categorical eligibility, and the bill implements certain disqualification periods for noncompliance. HB 1048 Reduce Barriers to Improve NC Health and Safety: Allows for health benefit plans to cover abuse-deterrent opioid analgesic drug products. It also allows for the correct use of step therapy for prescription drugs. SB 802 Military State Income Tax Relief: The bill would provide income tax relief for military members who live in the state but are stationed elsewhere. SB 817 Const. Amd.- Max. Income Tax Rate of 5.5%: This bill would add a constitutional amendment to set the maximum income tax rate to 5.5%. This would preclude future policy makers from raising income tax rates to meet the needs as the state grows without first overturning the constitutional amendment. SB 818 Increase the Zero Tax Bracket: Increases the standard deduction. As proposed, the state could see a $200 million tax cut. SB-734/HB-1000 Statewide Standing Order/Opioid Antagonist: Adds State Health Director as someone who can prescribe opioid antagonist without criminal liability. Passed Senate Health Care Committee and referred to Judiciary I. May 25th: Medicaid Expansion lobby day- more details to come! The House and Senate budget writers agreed to a $22.225 billion spending limit. This is a 2.26% increase in spending. The Governor’s budget would increase spending by 2.8%. The decision on a spending limit alone took 8 months last legislative session so an early decision on spending could mean we will truly have a short session. We should see the House budget out by May 20th. The US Department of Justice sent letter to NC detailing that HB 2 was in violation of federal civil rights and Title IX of the Education Amendments of 1972 and a remedy would need to be decided on by Monday. If the state choses to continue with HB 2, this could mean the loss of several billions of dollars of Federal funding. The Governor’s office has said it will respond by the deadline on Monday detailing if the state will comply or not. NASW-NC works on behalf of the social work profession on a variety of issues. 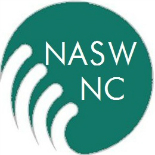 It is a member benefit provided by NASW-NC to have a registered lobbyist advancing and supporting the profession of social work in North Carolina. The North Carolina Chapter works with National NASW on Federal issues such as reimbursement rates, immigration, student loans, and more. Your membership dues help support our advocacy efforts everyday on the state and federal levels. Thank YOU for being a member and staying engaged in supporting the social work profession. We need you. If you are a social worker and not a member of your professional association we ask that you to join to support the advocacy efforts on behalf of your profession. Click here to join today! This entry was posted on May 9, 2016 by naswnc in Advocacy, Blog Posts by Topic and tagged HB2, House Bill 2, NC DSS, nc social work, NC Social Work Advocacy, NCGA, state budget, Voter Registration.